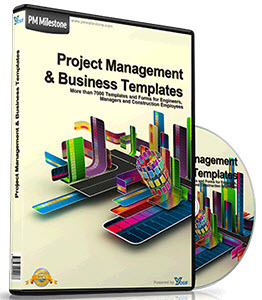 There are enough small changes in the Project Manager to devote a small section to it. Being one of the most commonly used panes of the IDE, even minor changes in it become significant. Before we look into this, let me underline that project files (the new .dproj format used by MSBUILD and introduced in Delphi 2007) remain identical to Delphi 2009, to the point that they even carry the same version number 12.0. The actual version number of Delphi 2010, in fact, is 149. The fact that there was no change in the version number means you can directly open Delphi 2009 projects in 2010 and vice verse, with no conversions or any hidden changes. • Where there are multiple projects open in the Project Manager, the project group local menu will also have the Compile All, Build All, and Clean All commands, as shown here on the side. Individual project nodes have a new From Here menu item, with a sub-menu hosting the three Compile All From Here, Build All From Here, and Clean All From Here commands. 9 The reason the Delphi internal version number (not to be confused with the compiler version number, which is currently at 21.0) jumped from 12 to 14, is the same you won't find floor 13 in a US hotel or row 13 on a plane: that number is associated with bad luck! 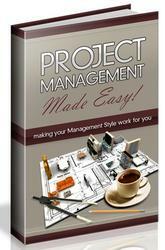 You can drag a file from the editor to the Project Manager window to add it to the current project. The local menu of a project has a new Sort By menu that let's you sort the project's units by Name, Modified Date, Type, or Path. If you keep the Auto Sort option on, the setting will be applied to any new unit added to the project and in case status of a unit changes. If Auto Sort is off, the sorting option you enable will be applied only once. In case you manually reorder one of the units of the project, the Auto Sort options will be turned off. The Project Manager toolbar has a sort button that let's you define the sort order for all of the open projects and also preset some default sort options. In case of package projects, there is a new Uninstall menu. Notice that you don't generally need to use this command, as when you Compile or Build a package, if this is already installed it will be automatically uninstalled before compiling it and reinstalled after the compilation. In specific circumstances, though, it is handy to remove a package directly from the Project Manager. Notice also that depending whether the package is installed or not Proje its icon in the Project Manager changes, with the small gear turn- c ing from gray (not installed) to yellow (installed). This icon with the gear is used by design time packages, while run time packages have the base icon with no gear (they cannot be installed in the IDE). By the way, you can now also select multiple packages in the Project Manager and perform an Install operation on all of them at once, using the local menu of the Project Manager.